It’s vital that every medical student in the UK knows that the RMBF is there to help when crisis hits. Our new leaflet explains the support and resources that we provide, and how to get in touch if you need help. 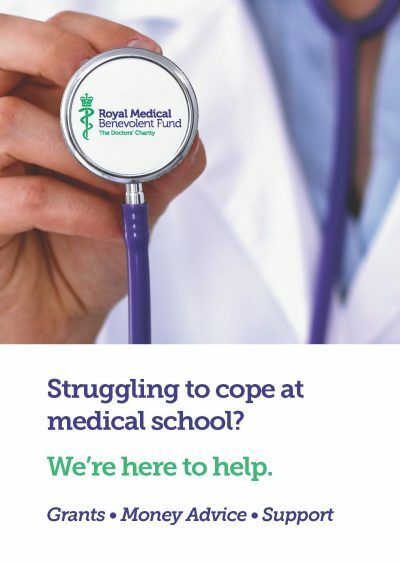 You can download the leaflet below, and we will be sending printed copies to all UK medical schools. If you work with medical students and would like to distribute copies of the leaflet, please just get in touch – details are below.